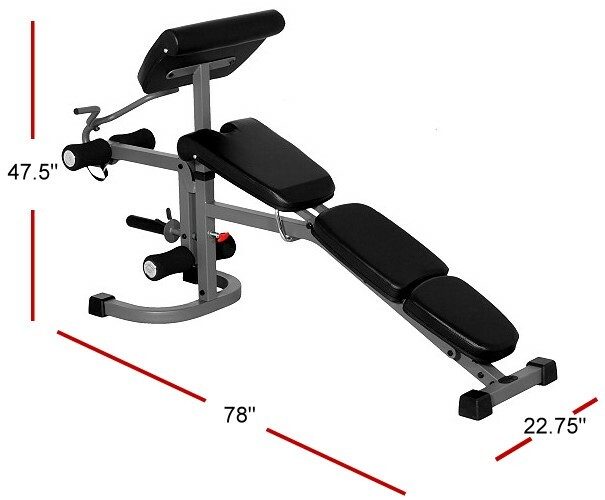 The XMark Flat, Incline, Decline (FID) Bench with Arm Curl and Leg Developer offers a variety of strength training exercises for a full body workout from the comfort of home. With eight ladder back adjustments from decline to full military position, 3 vertical preacher curl adjustments and 3 position dual leg developer, this FID bench is fully customizable to fit you. Built for comfort and stability, the bench features extra thick 2.5" Hi-density cushions, oversized 4" contoured roller pads and a horseshoe shaped base. A sleek, well defined body is only a step away with XMark, the mark of excellence.